MSC Cruises today announced a multi-million euro programme that will involve all four of its Lirica class ships over the next two years. The almost €200 million ”renaissance programme” has been commissioned from FINCANTIERI in Italy, one of the world’s leading shipbuilding companies, and will be complete by 2015. The “renaissance” of MSC Armonia, MSC Lirica, MSC Sinfonia and MSC Opera will add exciting new entertainment options, technological advancements, extended shops and up to nearly 200 new cabins per ship. The ships will boast a completely new spray park, with an exhilarating pathway of water features and water cannons. The impressive onboard boutiques will be enhanced with new interiors, more space and an all-new perfumery with display corners dedicated to leading brands, such as Dior, Lancôme and Dolce & Gabbana. During a press conference organised in Rome, MSC Cruises’ Chief Executive Officer, Gianni Onorato, commented: “When our four Lirica class ships return to the seas after a total of 38 weeks in dry dock, they will be entirely new ships with additional amenities and comfort for our travellers, allowing them to reach sophisticated and refined destinations around the world. The extensive “renaissance programme” represents a huge investment, and reaffirms, once again, our company’s dedication to high standards, cutting-edge technology and continuous product innovation. MSC Cruises’ ships are works of art in their own right and the ‘renaissance programme’ is going to make our fleet – already renowned for its unrivalled style and elegance – even more competitive”. Giuseppe Bono, Chief Executive Officer of FINCANTIERI, commented: “The winning of this contract is a source of great satisfaction to us in many respects. 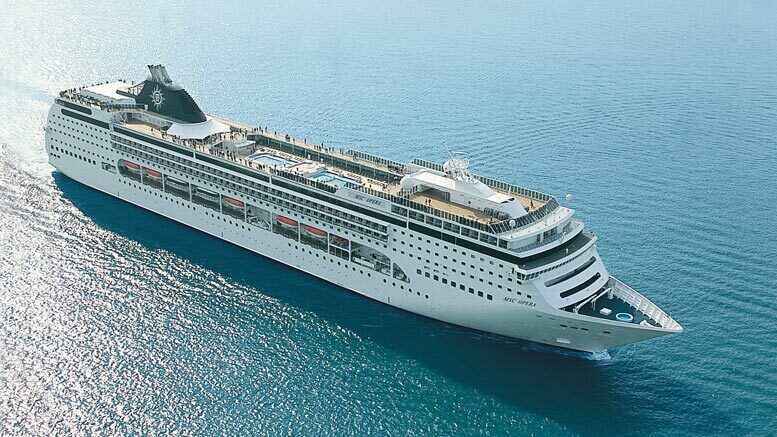 Above all, because it involves us with an important partner like MSC Cruises in a programme that is highly ambitious both technically and operationally. It also allows us to strengthen our position in the refitting and refurbishment segment, considered among those in continuous expansion. In fact, in the increasingly competitive international scenario, a complex order like this confirms our position as one of the leading players in this sector”. The four Lirica Class ships were built between 2003 and 2005 at the STX yards in Saint-Nazaire, France. They are currently 251 metres long, weigh 60,000 tons and carry 2,069 travellers. After the “renaissance programme”, the ships will be 275 meters long, weigh 65,000 tons and carry 2,680 travellers, boasting 193 additional cabins (plus 59 new cabins for crew members).